Looking to save a little extra money and help reduce pollution? Chances are, you spend a good deal of money each month filling up your car’s gas tank. Fortunately, there are a few things you can do to help get the most miles per gallon out of your fuel. Not only will this save you some cash, but it will also benefit the environment and keep your car in top condition. Different factors can affect how much drag your car’s engine has to overcome, such as whether or not your tires are aligned and properly inflated. You can also purchase low-rolling resistance tires if your vehicle doesn’t already have them, which can help reduce resistance by 10 percent. Your engine won’t have to work as hard, saving both fuel and money. Instead of speeding away as soon as the light turns green, accelerating gradually will use up less fuel over the same distance. In addition, going the speed limit on the freeway rather than going 10 mph over could save you up to 20 percent of gas. Cars need to be taken care of in order to function properly. This means you should frequently have the oil and air filter changed as well as have other minor maintenance done by a professional. This will help your vehicle perform better, therefore reducing emissions. 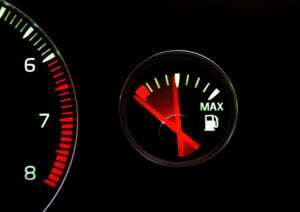 One of the easiest ways to save money on fuel is to reduce the amount you drive. If you need to get somewhere nearby, consider walking or biking. For longer distances, you can carpool or take public transportation. All of these can greatly reduce the amount of money you spend on fuel as well as increase the life of your vehicle. The more weight you have in your car, the harder your engine will have to work in order to transport it. Remove any items you don’t need, and avoid putting bulky items on your roof rack if possible. Each additional 100 pounds can reduce your fuel economy by up to 2 percent. You might think that keeping your vehicle on uses up less gas than having to start it up again. However, after about a minute of idling, you’ll actually burn through more fuel than if you had turned off and restarted the engine. Some cars even have “stop-start” technology that will make your engine shut off automatically when your foot is off the brake. This has helped reduce gas consumption by these vehicles by about 5 percent. If you live somewhere that’s hot, you’re probably already in the habit of doing this. However, parking in the shade really can save you money by keeping your car cool. This means that your air conditioner won’t have to work as hard, and your gasoline will evaporate much more slowly. You can also purchase a shade to put in your windshield to help keep your vehicle cool. If you are already looking to buy a new car, you should consider getting one that is more fuel-efficient, especially if you live in a city that has lots of stop-and-go traffic. These options include hybrids and plug-in vehicles, which can greatly reduce the amount of gas you burn or any at all with fully electric vehicles. Following these tips can easily help save you money as well as help the environment around you. If you are already following these tips and are still concerned about your gas mileage, have a professional take a look at your vehicle. Even just a few minor repairs or replacements could make a big difference in your fuel economy.